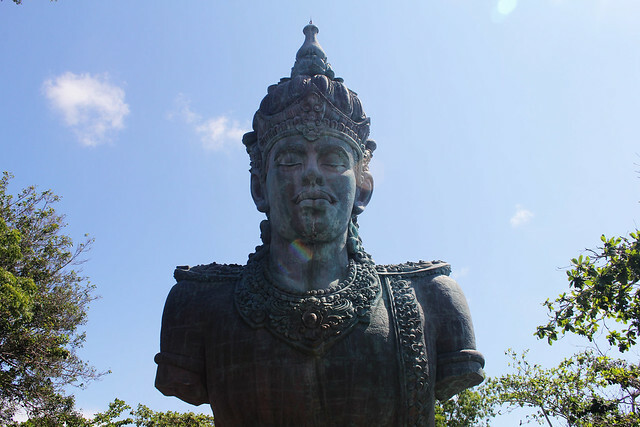 Bali sees a lot of tourists and foreigners flooding in every year, yet it still retains its cultural identity. Even as fellow Indonesians, we are taken aback by how different Bali is from other parts of the country. 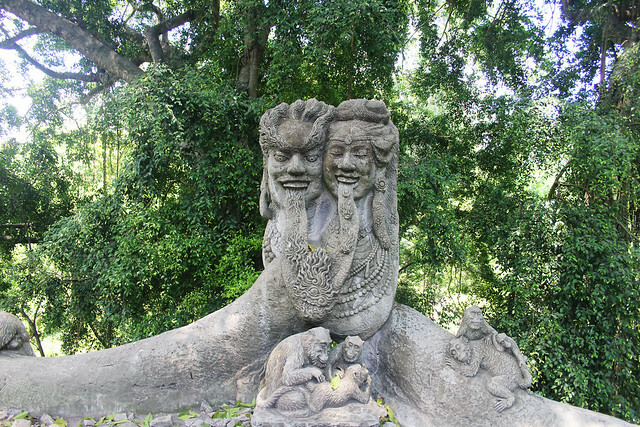 Bali is one of the most haunting and mystical places that we have visited. Here we have compiled some of the things that we find interesting, as well as some things that you need to know to have a great experience in Bali. With a predominantly Hindu community, Bali has a lot of temples and practices we don’t find anywhere else in majority-Muslim Indonesia. 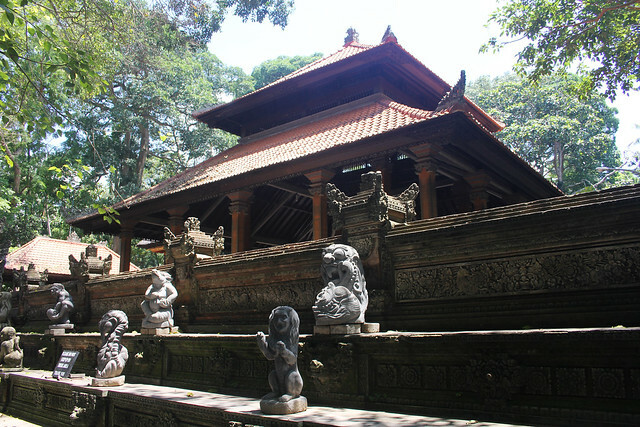 The temples in Bali are beautiful, often flanked with a forest, the sea, or a bustling village. It’s only natural that we want to go inside and take pictures but we have to keep in mind that these are religious sites. Listen to what the locals have to say. 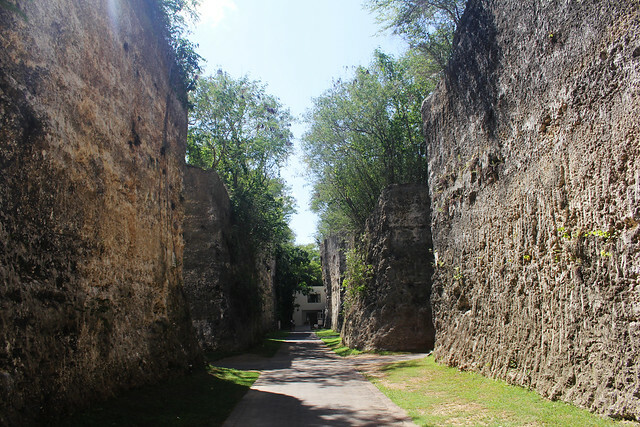 If they tell you that it’s off-limits to tourists, don’t go inside. While taking pictures is allowed, we have had people tell us to refrain from doing so. We urge you to trust them and respect their traditions. 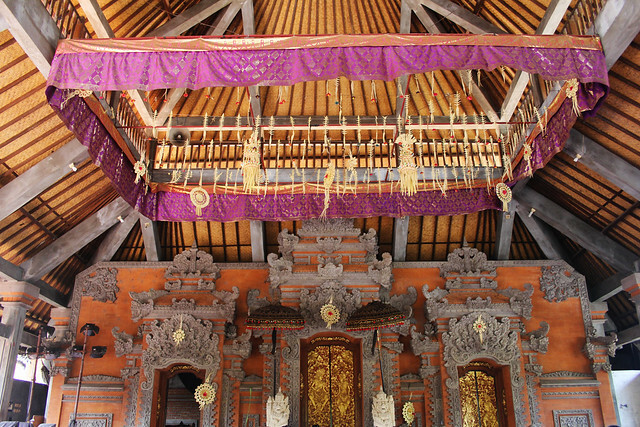 Ubud is one of our favorite places in Bali because it is so proud of its traditions and its people. 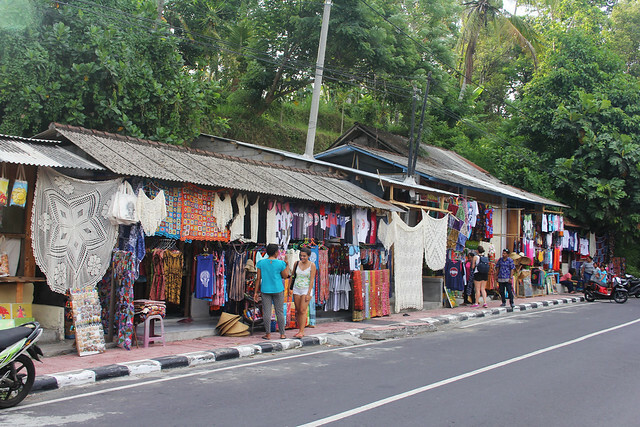 All of the stores in Ubud are locally owned (or co-owned by a local Ubud person). 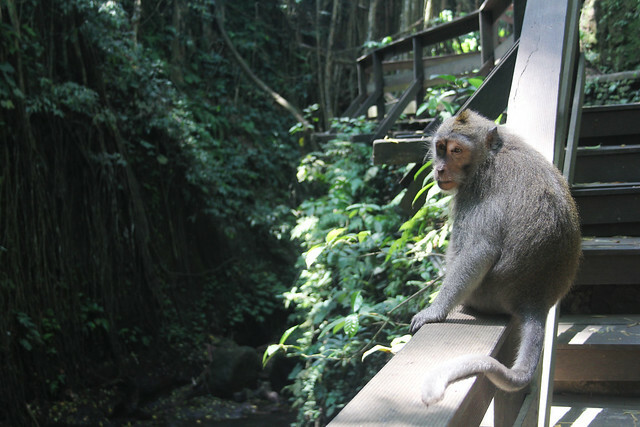 The forests thrive and its inhabitants, the often-cute, often-pesky monkeys, live in harmony with the people. 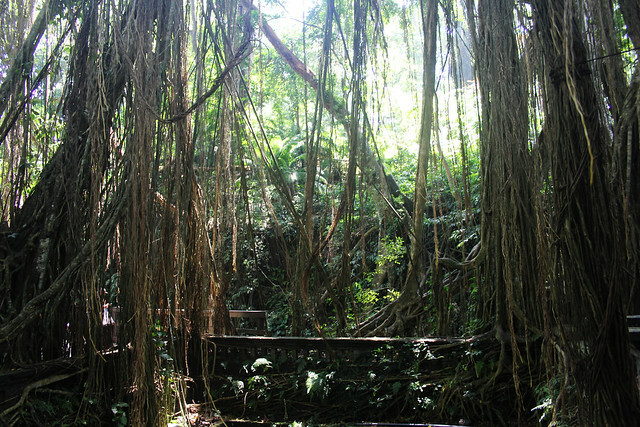 We can venture into the forest to see the monkeys and the temples (again, read signs to make sure you don’t tread into sacred areas). 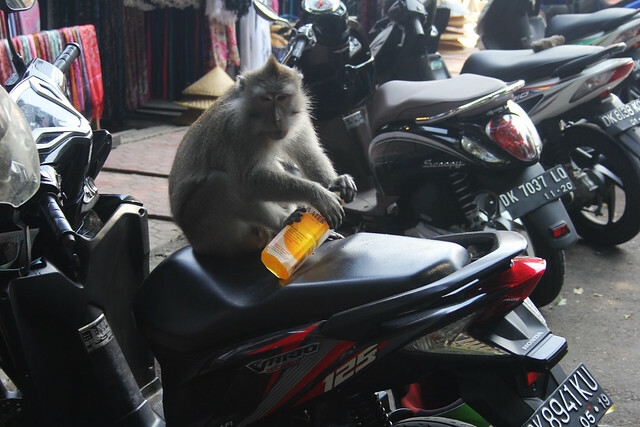 In turn, the monkeys often walk the streets of Ubud. 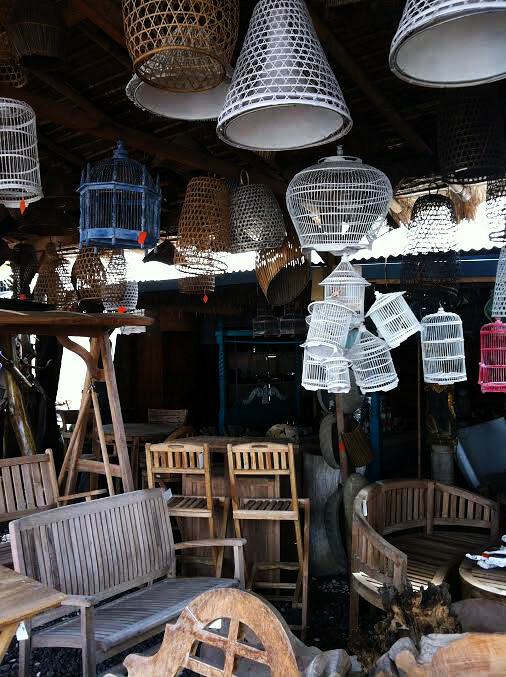 This practice is common in Bali (throughout the world), so don’t feel bad haggling for stuff! 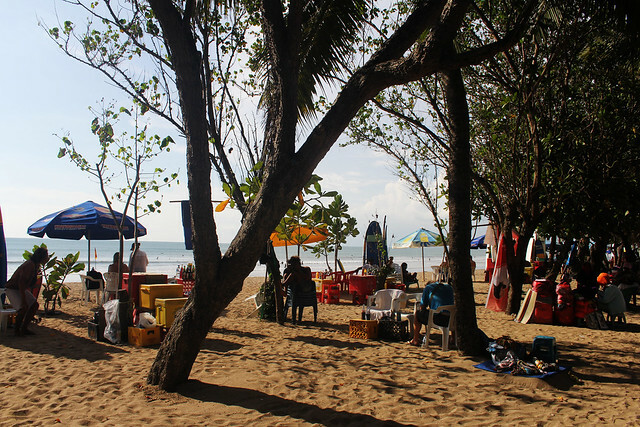 Here are some guidelines for haggling in Bali. Haggling is only for the markets. If it said ‘fixed price,’ don’t even try. If you are foreigners, you are paying a higher “foreigner price.” If you speak Indonesian, even just a bit, they would often lower the price for you. If you pretend that you’re about to leave, they would lower it even further. Buy in bulk from one store to get even lower price. Sometimes we haggle just for the fun of it. At the end of the transaction, we often pay a little more than the amount we agreed on…after all, what’s a dollar or two among good friends? 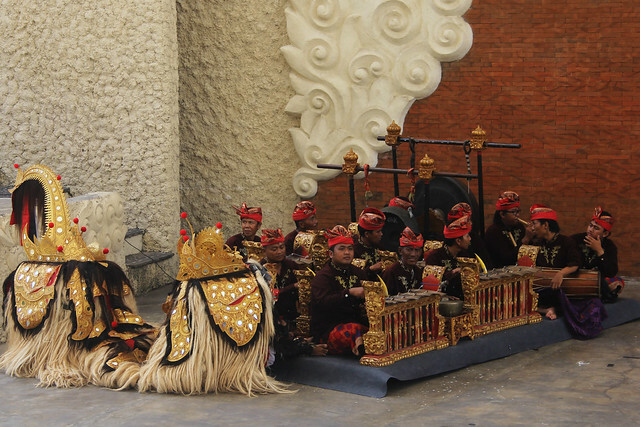 You can view traditional Balinese dances at Garuda Wisnu Kencana (GWK), a cultural center close to the airport. 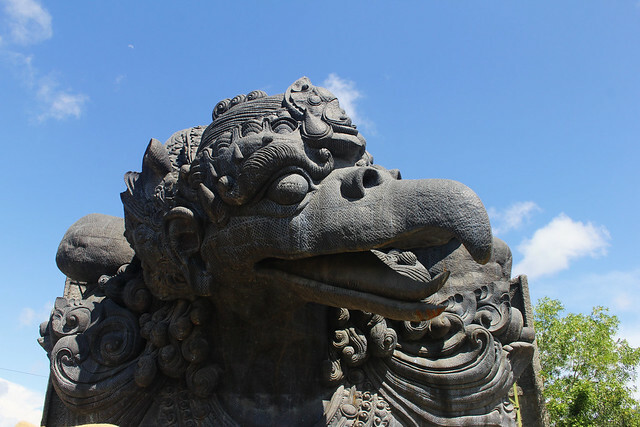 You can also see the unfinished statues of Wisnu, a Hindu deity, and his companion, the mythical bird Garuda. 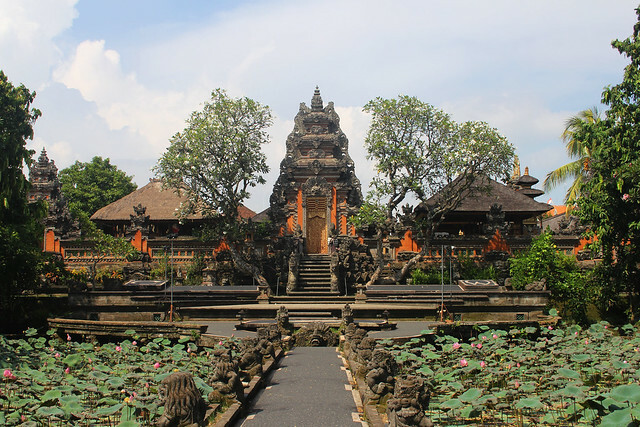 There are also maze-like gardens, lily ponds and a view of Bali from above. Throughout the day there are many shows to attend. At night, there is the fire dance at the ampitheatre. Since this is located far from regular tourist spots, it may be hard to get a taxi. Make sure you have transportation arrangements beforehand! 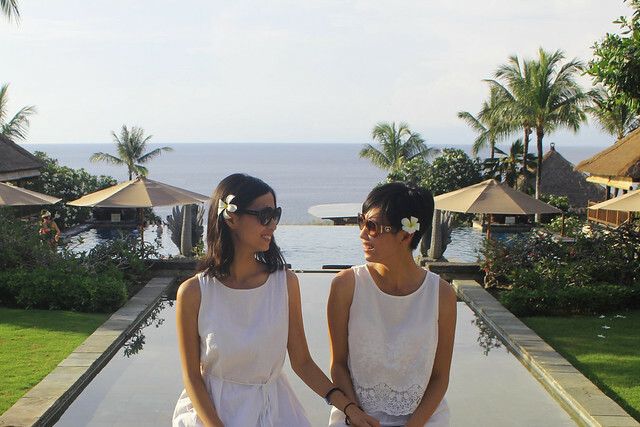 Melati flowers are a type of jasmine that thrives in Bali. They are white with soft, silky petals. They are used for decoration, for religious traditions and for personal hygiene (they smell amazing). As kids we would pick a melati flower from the ground and tuck it behind one ear. We still do it now. The moment you step out of the airport, you would find sesajen lying on the ground. These are small flowers and food offerings on a plate of dried leaves that Balinese put out everyday as part of their religious traditions. There are a lot of these around the island. While we make sure not to step on or over these offerings, sometimes we let down our guard down. If you stepped on or over these offerings, it’s all right…the people understand that mistakes happen. However, don’t forget to apologize! Another thing that you may see is a large tree with a checkered, black-and-white blanket draped around it. Sometimes the tree would have sesajen by its trunk. 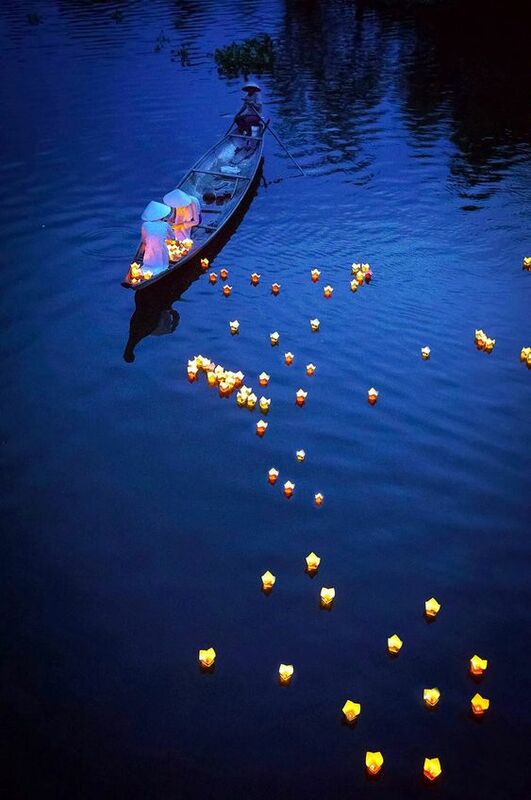 This is a Balinese tradition that shows respect to nature. This entry was posted in Nature, People and Culture and tagged bali attractions, bali travel, bali travel advice, balinese culture, blogger, culture, foreigner in bali, garuda wisnu kencana, haggling in bali, Indonesia, is bali safe, local perspective, monkey forest ubud, mypassengerdiaries, on budget travel, photography, student travel, travel in bali, travel with responsibilities, ubud travel, visit indonesia, what to do in bali. Bookmark the permalink. Where Next? Peru or Japan? It really is! Definitely one of my favorite places in Bali. We won’t get there until 2018, but I am putting a note in the file to look up this page again before we head that way — nice post. Thank you! Hope that it will be useful. Let us know if you have further questions!